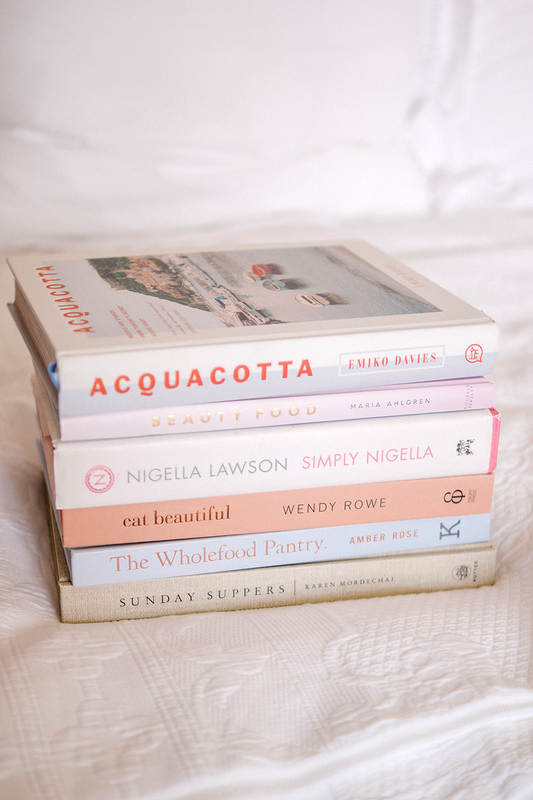 My Favourite Books For Feel-Good-Food Inspiration. So today's post is about those such books (I'm a bit of a recipe book fan hoarder lover so I'm just picking 6 today). And frankly, whether or not you're actively trying to keep an eye on what you eat, the recipes found in these books are straightforward, nourishing, and well, just make you feel good! I'm a Nigella fan. Whether it's her effortless chic, her Christmasses with festive jazz and as many fairy lights as I think you could possibly fit into one house, her unashamed greediness, I just like her recipes. And I think Simply Nigella is perhaps my favourite book of hers. There's a sort of nod towards the healthy, but mostly just tasty recipes. Her salted dark chocolate tart is a) so incredibly easy to make, you'd really have to be a kitchen calamity to mess it up, and b) so rich and tasty - it's F's favourite as well as mine. 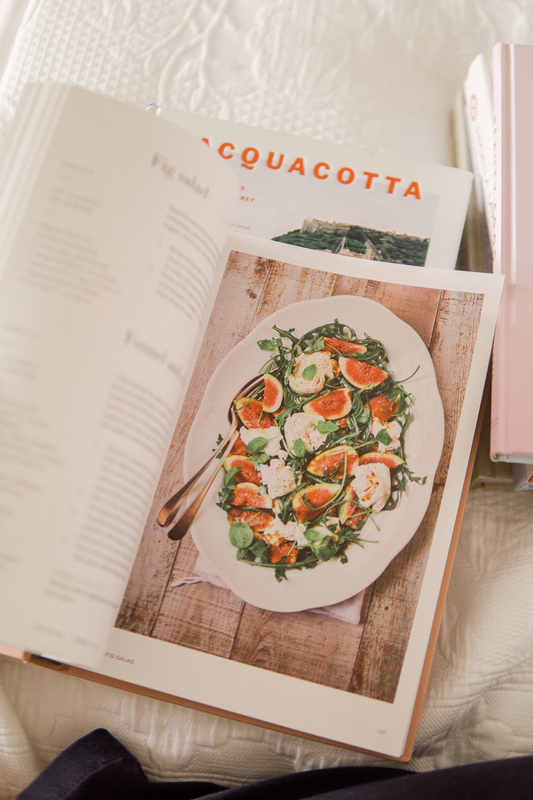 Some of my favourite food programmes, are those that also include some travel, local culture and history, and Acquacotta is a bit like that in literary form. Aside from obviously some wonderful, Italian recipes from the Maremma region in Tuscany (lemon and ricotta cake and the chestnut gnochhi are stand outs), it's a lovely homage to a lesser known region of the country, it's people, influences, and landscape, with some beautiful photography. I used to wince at the idea of books like these.. that's before actually having read them of course ;) (I've literally judged a book by it's cover). 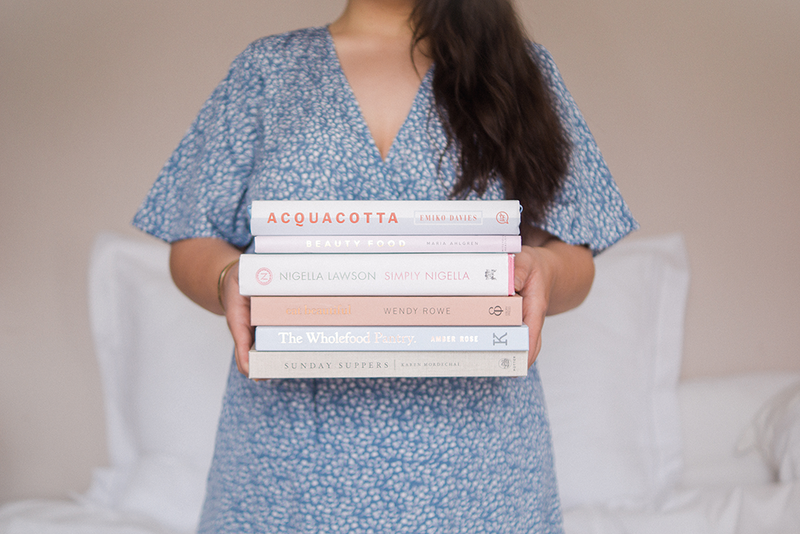 The idea of eating food to make you look 'more beautiful' seemed a little cringeworthy to me, but actually, I turn to these books on those days I feel I need 'detoxing' of sorts. Never of course would I advocate or partake in any sort of restrictive detox, but there are definitely days I just want lots of fruit and vegetables and pickles and lightness. And all in an imaginative way, rather than a bowl of crudites etc. Take the fig salad or buckwheat, kiwi and blackberry pancakes in Eat Beautiful. The pancake recipe is great, and I'd never considered topping them with kiwis (and yoghurt and honey for me) before seeing the recipe, but it works. Delicious. I did once think the way the recipes were organised in this book was, well, completely unorganised. But I've grown to quite like it's higgeldy piggeldy assortment of ideas. It has a very slow-living, made-from-scratch feel about it, and there are some really lovely, very simple recipes that I find inspiring and always want to make - which is probably principle number one for a recipe book wouldn't you say? Avocado sandwiches with greens and parsley pesto for example. Apple cider cakes - basically donuts. Homemade ricotta - that's next on my list to try. Warm pear and thyme crostinis - it's making me hungry already! Plus, Karen has such an excellent surname. The Wholefood Pantry is a teeny bit different from my other choices in this post, in that it's chock full of basic recipes and healthy alternatives to store cupboard staples - think honey and lemon curd, cashew mango cream, homemade yoghurt, blackberry vinegar and so forth. The sort of things that you could add to an otherwise quite plainly cooked set of ingredients and it just makes them sing. It's the same reason I'm so obsessed with sauces and want to learn all the French classics. Actually, I want to get my greedy little hands on Let's Eat France because I've thumbed through it quite a bit and it just seems like my kind of heaven.. The sauce pages in particular set a fire of inspiration beneath me! I'd love to hear your favourite feel-good cookbooks too so do feel free to share below! Been wanting to read more books. I am most certainly going to have to look into some of these!